THESE ARE 21" TALL INSTEAD OF 30". 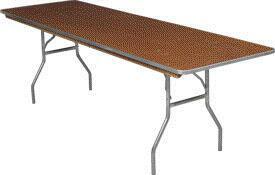 A TABLE COVERING IS RECOMMENDED FOR THESE TABLES. * Please call us with any questions about our table kid s height 30 inch w x 48 inch l serving Cary NC and Raleigh NC, Chapel Hill, Pittsboro, RTC & Raleigh-Durham in North Carolina.